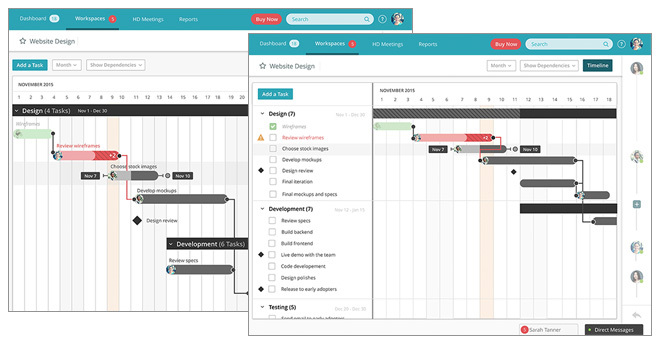 At Redbooth, we’re in the process of building new Gantt chart capabilities for our project management software. Our mission: Build it from scratch so that it meets the real-life business needs of our customers (you can read more about that here). As the lead designer for Redbooth’s new Gantt experience, I want to take you behind the scenes of the design process, from customer input to sketches to early design prototypes. 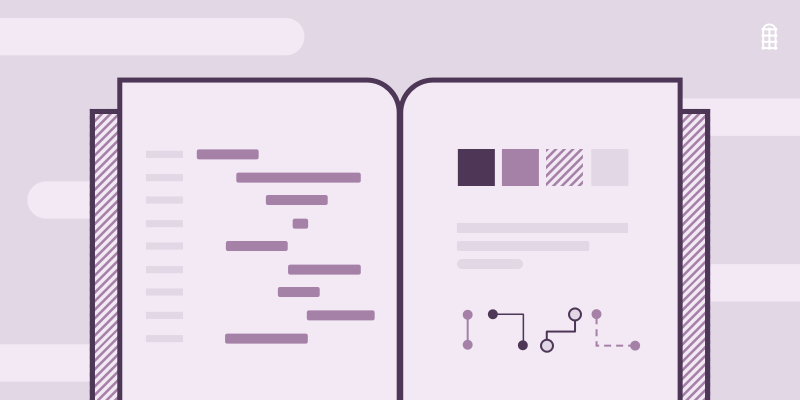 The new Redbooth Gantt features we’re working on aren’t just being influenced by customer feedback — they’re actually being driven by customer vision. Prior to envisioning what Redbooth’s version of Gantt would be like, Irwin Kwan, the project lead, and I spent time going through customer feedback to understand what was driving their requests for a Gantt feature within Redbooth. We chose a few customers to interview and invited them to “rant about Gantt” so we could better evaluate their needs and how they were currently visualizing project progress. Their chosen methods varied from whiteboards to Excel spreadsheets. These discussions not only gave our customers the opportunity to share with us what was important to them, but provided valuable insider information that would inspire and drive my design decisions. 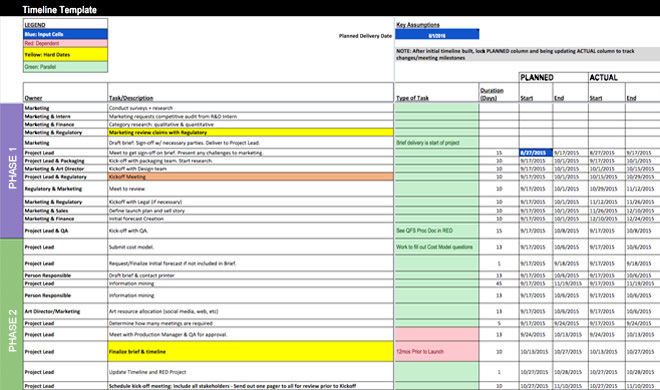 This complicated spreadsheet is an example of how one of the folks we interviewed visualizes progress on their team’s projects. 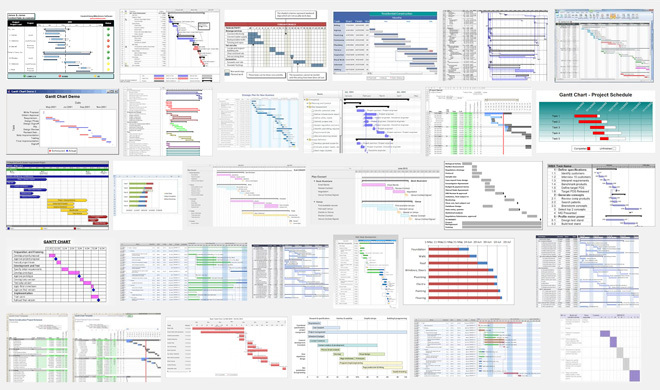 Being a “fundamentals-are-the-building-blocks-of-fun” type of person, I wanted to dig deeper and really understand Gantt at its core. A quick Google search will show you that typical Gantt charts can be a little overwhelming for the everyday user. With the information we’d gathered so far, it was time to distill what Gantt meant for Redbooth and our customers in particular. Irwin and I took over a conference room and started whiteboarding. With customer insight, knowledge and a vision, NOW the sketching could begin! The first thing I thought was, “How can I transform a task list into a timeline view?” and thus my first sketch was born. Notice the Redbooth task lists on the left. One of my major priorities for Redbooth’s Gantt is to maintain a clear connection to Redbooth’s familiar existing features and the behaviors our customers are accustomed to. My goal is to design a feature that is both valuable to our customers and easy to adopt and intuitive for anyone. 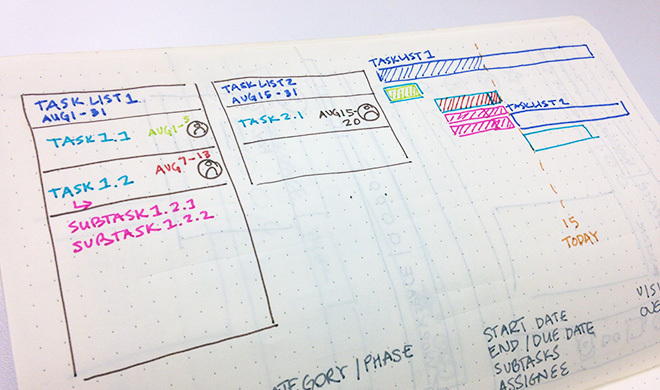 Various sketches of Gantt layouts. After refining my sketches, I translated them into high-fidelity wireframes to share with the larger product team at Redbooth and the customers we previously interviewed. The team and our customers provided valuable feedback along with helpful ideas — and many of our customers were eager to start trying it out. This stage was very important because we were able to give our customers the opportunity to provide feedback at a stage that was early enough to iterate from. 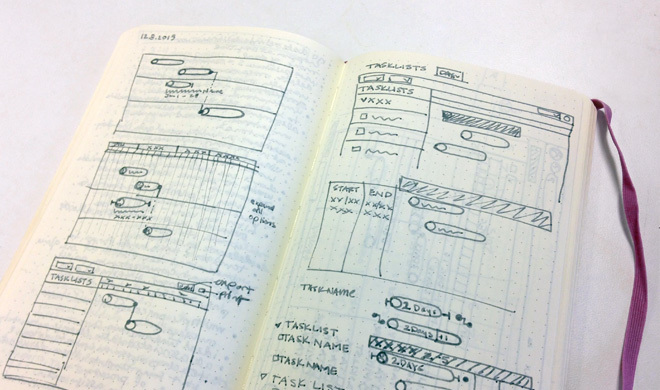 We intentionally kept the designs rough so that we could easily incorporate what we learned. Are these the final designs? Nope! They’re the first digital iterations we shared for early feedback. 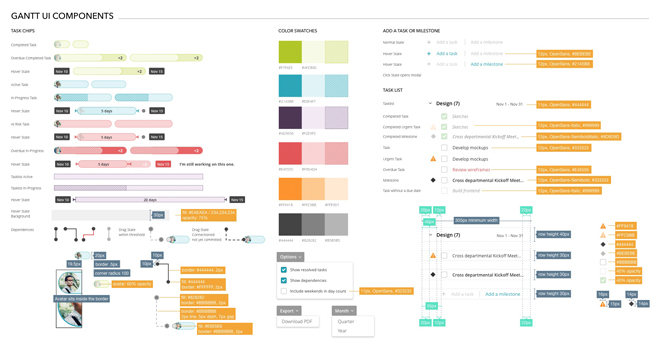 Colors, Patterns and Gantt, Oh My! After we confirmed with our customers that we were heading in the right direction, I continued to iterate on the design. I worked on refining the layout and styles, developing a color palette, and defining each Gantt component and the various interactions. A sneak peek of some of the visuals! 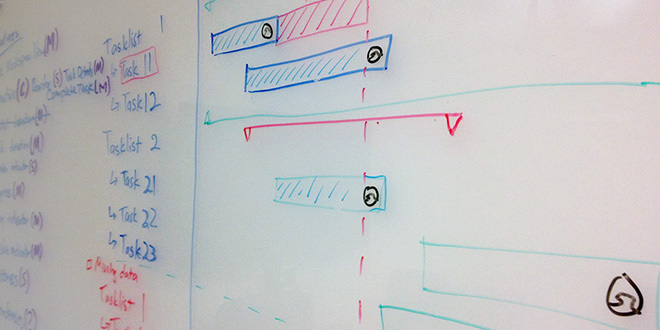 As our technical team works on transforming these design decisions into reality, our iterative process continues. We poke, play and test the live code so we can continue to fine-tune and improve the user experience before putting it back in front of our customers to beta test. As the lead designer on this project, this challenge and process has been rich, exciting and inspiring. I’m excited to continue to collaborate with our team and customers as we build Gantt and look forward to sharing it with the rest of you! Sarah is a Product Designer at Redbooth. She majored in visual communication design and studio art and minored in statistics at Virginia Tech. Originally from Washington, D.C., Sarah enjoys skiing, baking, and unwinding with her cats, Bonnie and Clyde. You can follow her on Dribbble.